INDIANAPOLIS, August 10, 2011 -- Global Water Technologies, Inc. (OTC Markets: GWTR, GWTRD) Global Water Technologies, Inc. (OTC Markets: GWTR, GWTRD) announces it has completed its review with the Depository Trust & Clearing Corporation and been approved for electronic clearance of its common stock, which is temporarily trading under the GWTRD stock symbol. This is a significant milestone for the company, as we have now successfully completed the reverse split, received an upgraded status on the OTC Markets and been cleared for electronic trading, said CEO Erik Hromadka. Global Water Technologies is trading under the stock symbol GWTRD for a period of 20 days and then will revert back to its original GWTR symbol. The Depository Trust Company (DTC) makes securities eligible for electronic book-entry delivery and settlement. 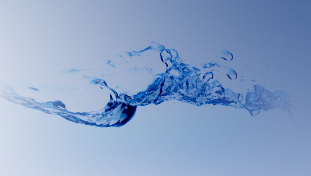 Global Water Technologies now has 8,535,805 shares of common stock outstanding that are DTC-Eligible, allowing brokers to clear the stock electronically. As a result of these changes and current market conditions, additional volatility is likely in the near term. However, the company expects the move will provide greater stability and opportunities going forward. Global Water Technologies also plans to move forward with additional development of its proprietary system for the on-site production of sulfuric acid, which was issued U.S. Patent 7,867,470 earlier this year. These steps provide a good base for the company, as we work to create value for both new and existing shareholders, Hromadka said.